In June 2017 the British Medical Journal ran an edition which focussed on burnout in the medical profession. The editorial struck a chord, and has become one of the most read and shared articles on bmj.com. Associated articles identified a fragile system producing epidemic rates of burnout, and citing chronic underfunding, long hours, workforce gaps, rising demand, social care cuts, politicised reorganizations and a blame culture as the root causes. One important factor contributing to medical burnout is the stress arising from working in a failing system while being expected to maintain normal professional standards. No doctor wants to be up before the General Medical Council (GMC) or goes to work intending to harm patients. And yet the circumstances under which we see patients are increasingly pressured and we have little if any control over our fraught working environment. We know system failures will lead to mistakes and that we are likely to be held responsible as individuals. It is little wonder then that burnout and stress are at epidemic levels. We are almost inured to the depressing facts about the permanent crisis in the NHS, and most people are aware that years of underfunding, disruptive political interference and lack of support for staff have taken their toll. The facts are easily rehearsed. In hospitals, bed numbers have fallen to a dangerous level, while cuts to social care mean delays in moving patients back into the community. Staff numbers are inadequate, and the UK now has significantly fewer doctors per head of population than most comparable countries. The number of unfilled medical posts is rising in both primary and secondary care, with 57% of trust chairs worried about their ability to maintain staff numbers. Resulting rota gaps mean that over half of UK trainees work beyond their rostered hours, leaving them short of both sleep and training. One study showed that over half of anaesthetic trainees had experienced a crash or near miss when driving home after a night shift. Suicides among junior doctors have hit the headlines amid reports of their alarming levels of stress. Primary care is also in a dire state. GPs report that their clinical workload has increased in intensity and complexity, along with their bureaucratic burden. This means less time for patients and rushed consultations. The BMA has suggested ‘black alerts’ when surgeries reach their maximum capacity but little heed has been paid to GPs’ worries. Recently some GPs in Kent applied to close their practice lists because of safety concerns but their CCG rejected their application. No wonder that a recent study of the career intentions of GPs in SW England showed that 58% intended to quit direct patient care within 5 years, and over half intended to reduce their hours. Health Education England has recently warned of huge gaps in the NHS workforce as staff leave because of pressurised jobs and poor pay. It identified a shortage of 42,000 nurses, midwives and therapists, with 8% of vacant shifts unfilled, leading to ‘increasing pressure on staff and a potential impact on quality’. A recent audit of NHS maternity services warned that serious shortages of doctors and midwives were ‘putting mothers and babies lives at risk’. The end result is that the NHS workload now outstrips the workforce. Yet doctors and other clinical staff are expected to maintain high professional standards against this background of diminishing resources and rising demand. Concerns about patient safety have been ignored and staff have been blamed for problems arising from system failures. The Secretary of State presents himself as a champion of patient safety while presiding over a service which is becoming steadily less safe. Falling mortality rates have stalled and spending cuts are estimated to be linked to 120,000 excess deaths since 2010. Mr Hunt asserts that incidents involving overcrowding and trolley waits are ‘completely unacceptable’, as though they have nothing to do with him. This is a dangerous and stressful situation for doctors and their patients. Demands to work beyond a clinician’s capacity and competence are common. 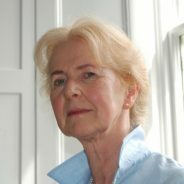 Doctors are rightly fearful of being brought before the GMC, who have shown themselves to be uninterested in excuses about difficult working conditions, and judges are said to be unwilling to accept that lack of adequate resources or having to work in ‘dreadful conditions’ is a defence against a charge of clinical negligence. Two recent stories which have made the headlines illustrate these conflicting pressures. Bob Kerslake, ex head of the civil service and chair of Kings College Hospital, stood down in protest at the government’s failure to face up to and take responsibility for the NHS crisis. He blamed the impossible situation that Kings and most other trusts face on rising demand and the tightest financial squeeze for years. NHS leaders and the BMA backed his analysis of NHS underfunding. Meanwhile the General Medical Council were accused of behaving like an ‘erudite and urbane kangaroo court’ in the case of Dr Bawa Garba, a trainee paediatrician, who was convicted of gross negligence manslaughter after the death of a 6 year-old boy from sepsis. A tribunal did not strike her off the medical register, because they felt that there had been ‘multiple systemic failures’, and there were claims that she had been made a ‘scapegoat’ for ‘institutional inadequacy’. Nonetheless the GMC are appealing the decision, going back to court to ask to have her struck off, despite hearing evidence that she is a good doctor and thousands of signatures on a petition asking them not to do so. Apart from the injustice of individuals taking the blame for systemic failures, such a move will discourage others from admitting mistakes, the first step to addressing systemic problems. As one critic remarked the blame culture is alive and well in the GMC and ‘duty of candour is dead’. 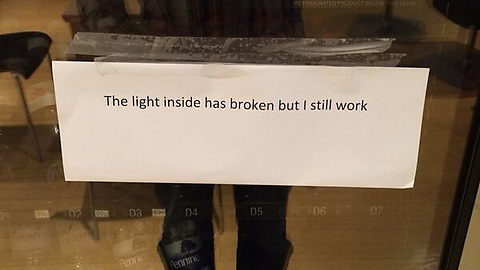 Recently a sign from a broken vending machine hit the social media headlines – ‘the light inside is broken but I still work’. It is an apt metaphor for the NHS, struggling with the results of political neglect while relying on demoralised and overstretched staff to keep the show on the road. Those workers cannot thrive when they have no control over their working environment but are held responsible for any mistakes that result from system failures. In the past there has been a focus on improving individual resilience as a cure for stress and burnout, but this is no longer appropriate. Patient safety and the well-being of the work force are at stake. Medical leaders and politicians must take responsibility. They need to turn the light back on. The Health Service Safety Investigations Bill is currently before Parliament and would permit the conditions in which a clinical failing occurs to be investigated in a ‘safe space’ free from blame. Whether such a law will effectively alleviate the adverse conditions currently facing NHS professionals is something to be considered in a future blog.